This photobook conveys that the human being is kept alive by nature through life of the land of Aso that experienced a giant earthquake. The Aso, Kumamoto district of Kyushu at the west end of Japan, is an area mainly on the huge caldera for 25 kilos from north to south and 18 kilos from east to west that was created by the eruption happened 90,000 years ago. It is rare in the world that human live in a caldera, but 50,000 people live there. An earthquake measuring M7.3 struck Kumamoto inland in April 2016, the heavy damage including the large-scale landslide left in Aso district. There were connections accidentally, and I went there for the coverage of the earthquake damage weeks later. It was the earth of Aso and a living of people, not earthquake damage that affected me while I went around the Aso district. Hearing from the acquaintance, I went first to the source of a river of the spring which had died by the earthquake. It was the groundwater which sprang out from each place in the Aso district to have saved the people after the giant earthquake. Only the water helped inhabitants though water service was cut apart. And I received a big shock that people there lived using this spring for rice field and drinking since a long time ago. And then I knew that it was a grassland to have maintained a spring water. Aso has the biggest grassland for stock raising. Rain which falls twice as large as the national quantity average soaks underground from the grassland becomes the spring and benefits the life of inhabitants. The water which soaked from the rice field sinks underground becomes drinking water for people of Kumamoto city or I evaporate or evaporates coming back as a rain. The dung of cows brought up in a grassland or grass itself is utilized in the manure of the fields. A grassland and agriculture, life was united working. The description of the grassland is left in the Heian era, the grassland as the grazing land spreads out in this district for more than at least 1,000 years. However, the grassland of Aso is not a natural one but a ‘secondary grassland’ that changes to forest before long if we leave it without maintenance. It would become a thicket immediately if we do not pasture, or reap grass for feed, or burn off a field. By slump of the recent stock-raising industry, lack of successor, the grassland of Aso has been reduced to half in comparison with the Meiji and Taisho era. It is also said that the reason for the death of some water spring is the decrease in grassland. To maintain or revive a grassland, efforts, for example, volunteer supports the burning of a field, are continued now. The disaster like earthquake and flood that nature brings destroys human life. However, before that, it is nothing but nature sometimes brings the disaster that makes human beings live. Blessing is brought by movement of nature repeating destruction and reproduction from ancient times. I am forced to realize it again strongly in the land of Aso. For at least 1,000 years, people here have lived together with nature that sometimes destroy something. 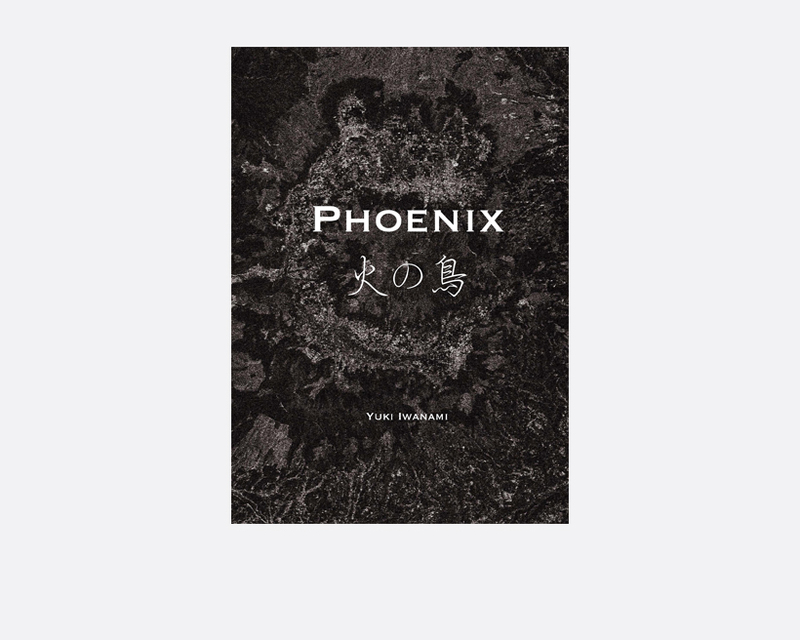 This project captured symbiosis with nature in Aso visually, and is the photo-book to make people stop and think.